There was only ever really one spot where I was going to look for the endemic Honeycreepers on Maui, and this is Hosmer Grove about half way up the road that leads to the Haleakala Observatory, just after the entrance booth to the park. It was a misguided attempt back in the 1920s to try and establish hardwood plantations and form a timber industry on Hawaii. 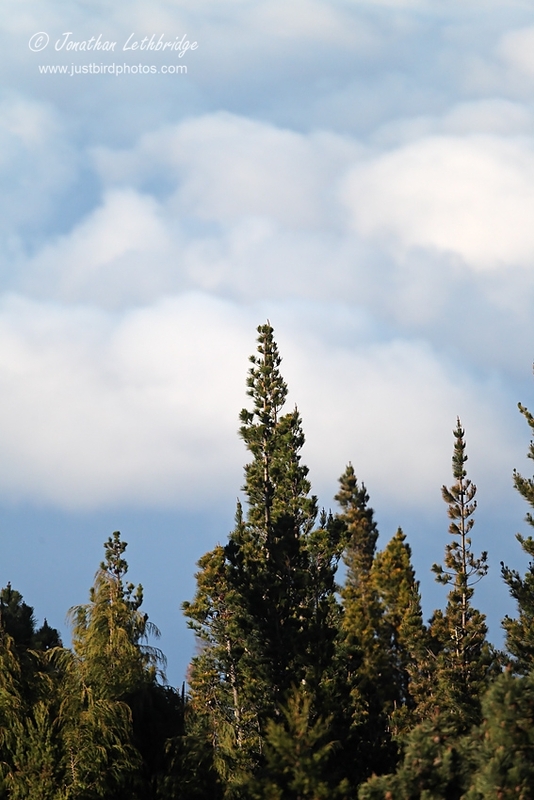 Many of the trees didn't do well, but a handful did too well, thus damaging the fragile native ecosystem. There are still stands of these non-native trees today, some of them are absolutely huge, and the park managers face a constant battle to ensure that the native scrub land and its plants don't get further eroded. Despite this it is still noted as the best place on the island to get a view into that habitat, and is also the site of a protected area called the Waikamoi Preserve, established and fenced off by the Nature Conservancy to keep at least some of the slopes of east Maui as they once were. 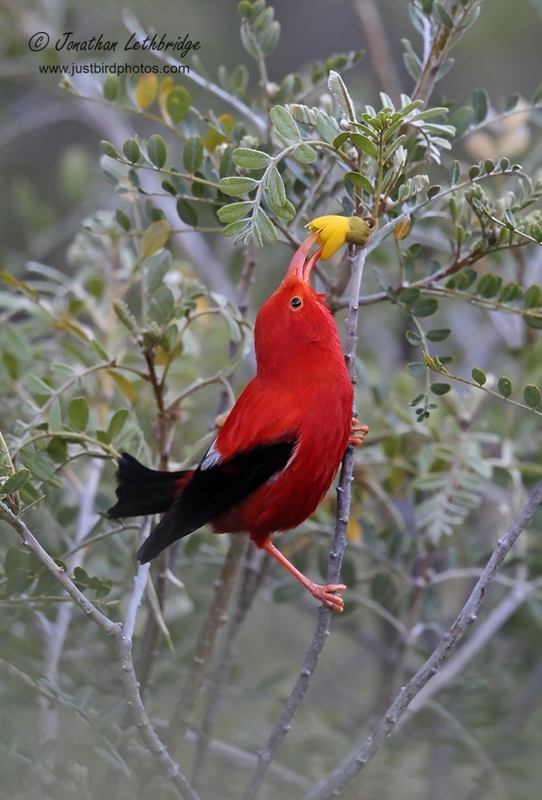 This preserve is strictly off limits for the most part, though there are infrequent guided walks down the slope to a boardwalk where good views of the Hawaiian Honeycreepers are more-or-less assured. I didn't have that opportunity and neither will most people, so I thought I'd put together a brief guide of how best to see at least some of the birds without being on a guide-led walk into the Preserve itself. The first left turn after the entrance booths. There are several small car parks along this short road that ends at the campground, and you can leave your car in any of them. The grove is on your left, and to your right is native scrub land. There is practically no walking involved and you will likely see at least some of the Honeycreepers from the car if you are so inclined. 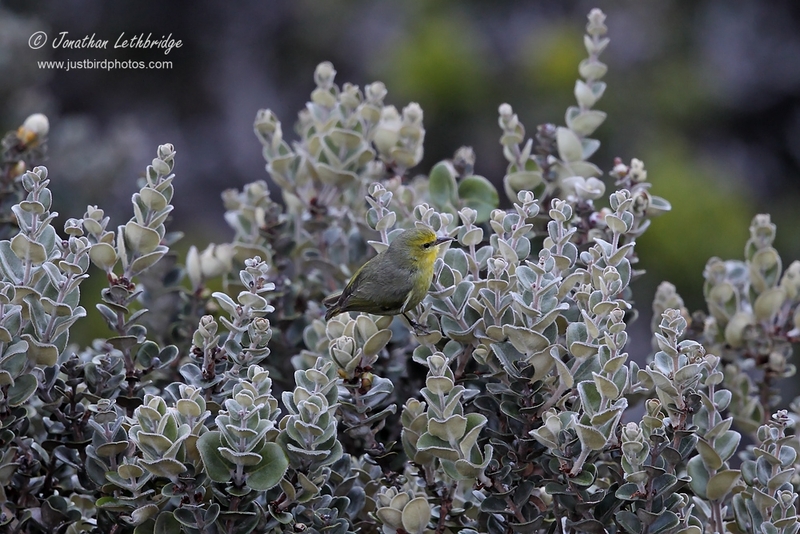 For instance Apapane and Amakihi were relatively easy to find along this road, frequently flying out of the forest and up the slope into the native bushes to feed. The area around the large water tank and solitary pine tree was a good spot. The actual trail starts at the campground car park itself, as noted on the map above, and first leads through Hosmer Grove itself, and then emerges a little higher up into the native scrub. The Waikomai gulch is to the right (east) of the trail, and presumably the off-limits Preserve is off the top of the map/north. The only non-native birds that I saw in and around the Grove were House Finch and Japanese White-eye, so any sound you do not recognise is likely to be a Honeycreeper. I'iwi in particular make a huge variety of sounds, and are easily picked up. The most productive area was easily where the grove begins to peter out and the give way to native plants - basically at the far right of this map close to where the trail splits in two and these is a shortcut back. As the trail emerges it does so alongside the top of the Waikamoi gulch, a ravine filled with native plants. There are couple of overlooks, the first with an interpretation board, and a stint here looking down into the gulch will produce results. I saw lots of I'iwi from this spot, often extremely well, and Maui Creeper or Alauahio were present in the pines right on the edge of the forest. 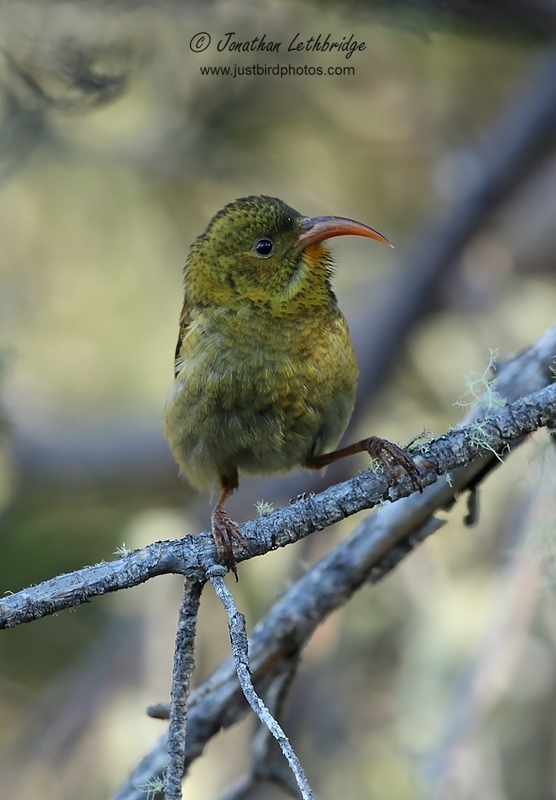 They tended not to venture out very much, whereas the I'iwi flew back and forth constantly, although preferring not to move too far away from the treeline. I saw only one Amakihi in this area of forest, all the others were further up the hillside. This was mostly true of the Apapane too, I only saw one right on the margins of the forest, all the others were in the scrub. I visited twice, once in the early evening about an hour before sunset, and once in the morning about an hour after sunrise. The early morning visit was unsurprisingly much more productive, although I did not walk the main trail in the evening. For reference I visited in late March. Note that due to the popularity of viewing the sun rising above the clouds on Mt Haleakala, entrance to the park is restricted between 3am and 7am – you need to have made a reservation and space is limited by parking spaces at the summit. I found this out too late, but a great day out in my opinion would be to start with the sunrise, and then descend to Hosmer Grove (about 25 minutes) and bird the area for a few hours. With uber-planning you could do that and join the guided walk which I believe starts at 8am from along the Hosmer Grove road. The summit is a shade over 10,000ft, and is cold and windy – you need proper clothes if you are going to be up there for any length of time. You can bird Hosmer in shorts and a T-shirt however, it is 'only' about 6,700ft and remains fairly pleasant. 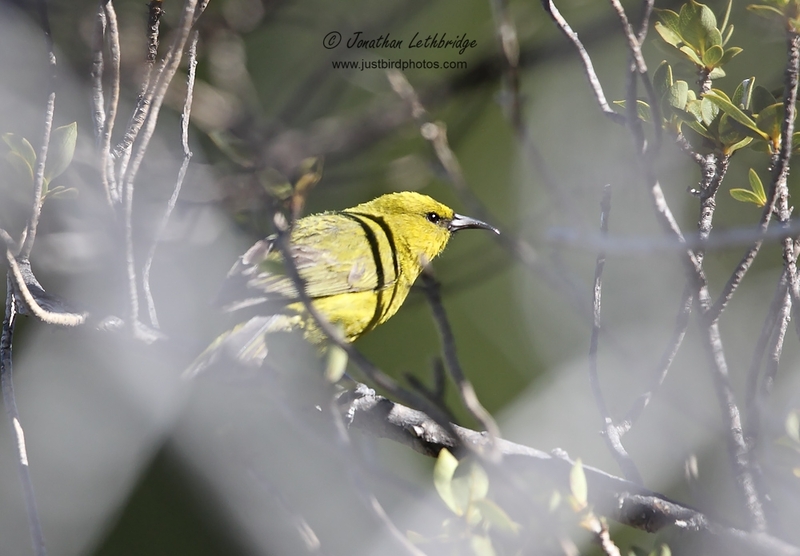 Bizarrely the calls of the Honeycreepers are interspersed with the coughs of Ring-necked Pheasant, another introduction to the zoo that defines most of the birding on Hawaii. As you drive up you’ll be serenaded by European Skylark…. I birded the area for about four hours, from 7am on the dot to just before 11 by which time it was quite hot and bird activity had dropped off significantly. 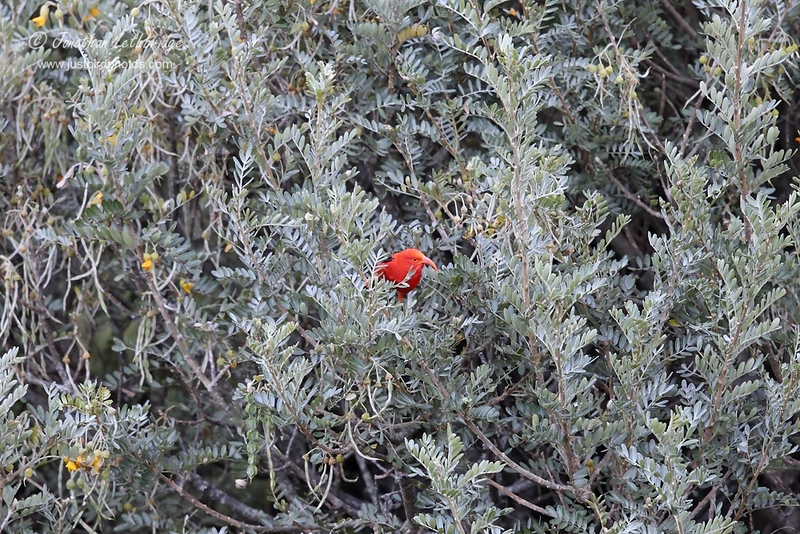 Beyond about 10am the I’iwi tended to stay in the trees more and I was happy to join them. The peak of activity was probably from 8am until 9am, by which time a bit of sunshine was starting to get into the top of the gulch. I’iwi was actually the commonest bird by some margin, followed by Apapane, then Amakihi. 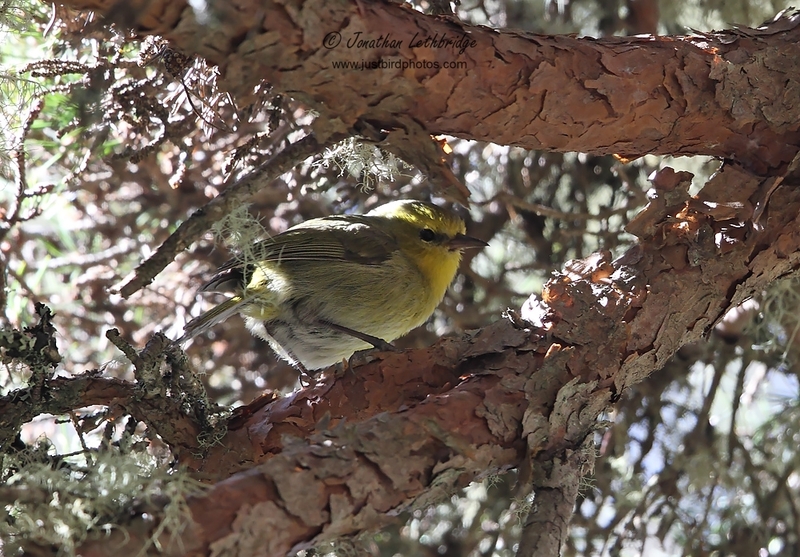 Alauahio was the hardest to catch up with, and I didn’t see Crested Honeycreeper or Maui Parrotbill at all. These latter are seen only a handful of times a year, but I suspect you would get the former if you went on the guided walk which takes you deeper into native habitat. My four hour visit produced the following birds, and I got excellent views of them all. Having never been (or thought of going) to the Hawaiian islands, I've never actually seen these birds outside of a 'birds of the world' type book. In fact, these could well be the first non-painted images I've seen of them! Almost reminds me of some of the endemic New Zealand birds, sad tales to tell with degraded habitats to boot. Kinda weird looking things, almost fanciful as though they really ought not to be real. Thanks for sharing, more folks ought to know about, and be concerned for, these Hawaiian endemics. Hi Seth, the I'iwi in particular was a bonkers bird in the flesh - and the noises it made! Hawaii is a little sad - not just because of the bizarre mix of global birds in the lowlands. 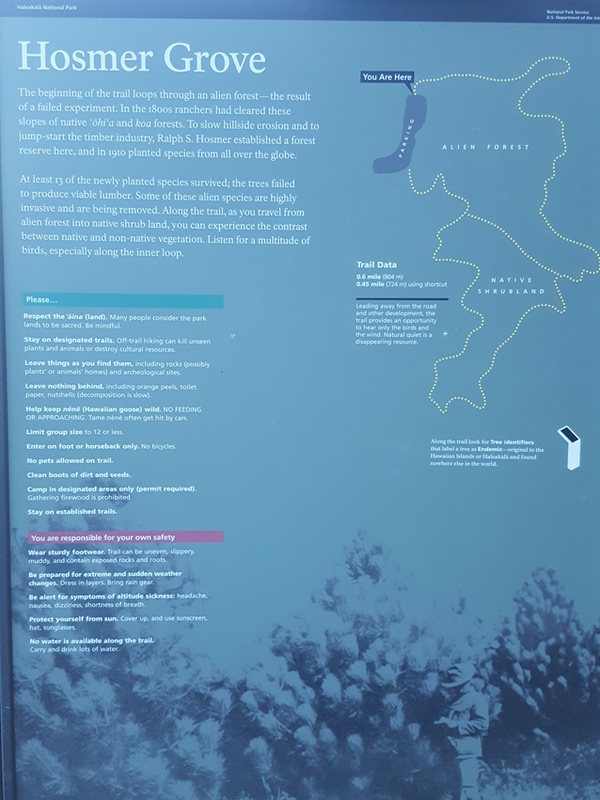 It is the scale of extinction that is pretty shocking; the field guide I had talked about one species being discovered only in 1973 and having just 2 individuals left in 2005. Hosmer is only a small pocket and just one wildfire could be disastrous.